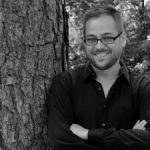 Recently acclaimed by the Arizona Daily Star as “a rock star on the harpsichord,” Guy Whatley enjoys a diverse international career as a harpsichordist and organist, performing as a soloist, collaborative artist, and ensemble director. Dr. Whatley has played in several of the world’s most prestigious venues with many notable musicians of our time. Recent engagements have included concerts in Japan, China, Argentina, Brazil, Central America, and Europe. In 2005, Dr. Whatley completed a Doctor of Musical Arts degree at Arizona State University and holds diplomas from The Royal College of Music and The Royal Academy of Music. Dr. Whatley has studied with Ton Koopman, Maria Boxall, Ludger Lohmann, Jon Laukvik, Marie-Claire Alain, Jean Boyer, Kimberly Marhsall, and Christopher Stembridge. 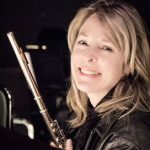 Dr. Whatley regularly performs repertoire spanning the middle ages to the present day, and has performed major, if not complete works by composers ranging from Tallis and Byrd, Bach and Handel, to Ligeti and Xenakis, and Howells and Messiaen. Currently, Dr. Whatley is the organist for Camelback Bible Church in Paradise Valley, Arizona, performs as the harpsichordist/organist for the Grammy nominated True Concord Voices and Orchestra, and plays as a duo with trumpeter Jean Christophe Dobrzelewski. Dr. Whatley’s forthcoming projects include preparing the complete organ works of Healey Willan for performance, as well as a recording of the complete organ works of Stephen Paulus. Dr. Whatley is represented by Seven Eight Artists.